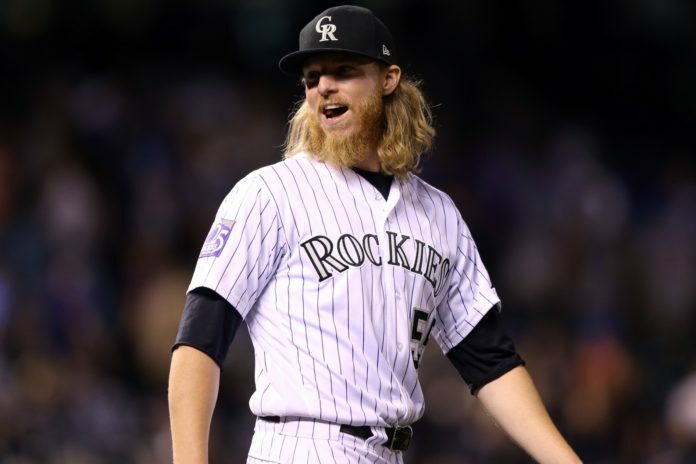 The Colorado Rockies are set to recall starting pitcher Jon Gray from Triple-A Albuquerque, and he is expected to pitch Saturday against the Seattle Mariners, according to Patrick Saunders of The Denver Post. 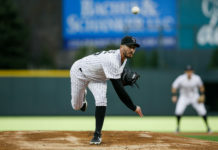 Gray appeared in two games for the Isotopes while in the minor leagues, logging 10 2/3 innings pitched while allowing seven hits and four earned runs while striking out 13 batters and walking four. Gray, Colorado’s Opening Day starter, has struggled at the major league level this season to the tune of a 7-7 and a 5.77 ERA. 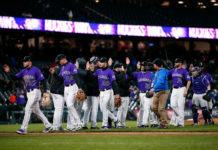 The Rockies are hopeful that the stint in the minor leagues will help spark Gray on the mound moving forward as Colorado looks to return to the postseason for the second consecutive season. Despite his struggles on the mound this season, Gray ranked fourth in the National League in strikeouts before being sent down and still ranks sixth within with 119. 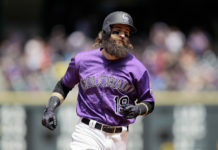 The Rockies are looking for Gray to grow into himself following the learning period and to help continue their sharp play as of late, which includes a record of 7-3 in their last 10 games.